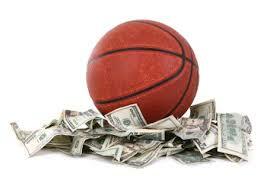 Welcome to the fifth year of our March Madness Investing Bracket! 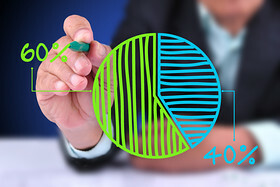 This series of articles is always one of the most popular investing articles on the internet! We’re proud to admit that we were one of the first investing nerds to combine our love for the markets with the passion that college basketball brings! It’s common knowledge that people love excitement and surprises. It’s also human nature to root for the underdog and many times those two themes can certainly play out on the basketball court as well as on the stock market floor. Much like two college basketball teams that never play each other our imaginations are swept up in wondering who will “win” between a relatively unknown investment or a popular stock that has the media in a frenzy. For those of you that are not familiar with the NCAA and its annual basketball tournament there are 68 teams selected and each is seeded according to their results throughout the regular season and their relative rankings. Every March the NCAA holds a single elimination tournament to crown an undisputed champion. Part of the appeal of such a tournament is that theoretically any team that makes the “big dance” has a shot at winning it all. Each and every year there is a proverbial “Cinderella” team that surprises everyone including all the ‘so-called’ experts. Prior to the tournament there is always plenty of banter and opinion on who wasn’t invited or further arguments around the seeding of the teams that did make it. That’s where we see a parallel of sorts to investing and having to make decisions among the multitudes of investment choices. With so many investment choices available, there are also as many differing opinions. If you have ever looked at a chart of all the different asset classes and how they perform year to year…there is rarely a pattern or consistent way to determine next years “winner”. For the purposes our annual investing bracket we have “seeded” or ranked four major asset classes (like the regions) and chosen several individual picks within each. There is some basic science applied to this process. We consider how the “pick” did over the past 12 months and also how it has trended over the past three months. In some cases we gave a lower performing investment a higher seed if it was trending well with recent strength or was more consistent over a longer period of time. Each asset class (Large Cap, Small Cap & Mid Cap, Bonds/Alternatives, and International) was ranked and seeded, then corresponding seeds were assigned to “picks” that we are either adding to the portfolio or establishing new positions in. Note that we’re not highlighting 68 new investments and will only discuss some investments that we are either actively involved in or looking to add to most portfolios. Imagine if there was a product that addressed both death and taxes? Not to scare you away from this article … but there is. Individuals will typically avoid discussing it, if at all possible. The product is Life Insurance, owned by many but truly understood by few. 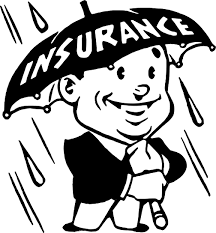 The Life Insurance industry has certainly not done itself any favors over the years. Individuals often experience a pushy sales process that is based on fear tactics and playing on emotions. Who really wants to sit down and discuss what will happen when they die? In an effort to serve individual needs, life insurance companies have created a plethora of products with different bells and whistles often leaving the potential client confused and completely overwhelmed. Rather than dig into the various products we will address 10 of the most common myths that are associated with Life Insurance and discuss their validity.